But to the public in general and the readers of the Secret Doctrine I may repeat what I have stated all along, and which I now clothe in the words of Montaigne: Gentlemen: “I have here made only a nosegay of culled flowers, and have brought nothing of my own but the string that ties them”. More than one hundred years ago, on a May 8th, Helena Petrovna Blavatsky left the world of the living to enter her beloved kingdom of mystery, myth and symbolism, of spirituality without frontiers. That strange and extraordinary women who was known as H.P.B. had earned her immortality, and made Time her best ally to vindicate her many accomplishments, which her era, unbelieving and even cruel, had discarded. How does one define H.P.B.? How does one summarize her cyclopean works, her “rowing against the current,” into a handful of lines? It is immensely difficult, and that is why we prefer to dedicate to her a humble homage of a few words. She was a compendium of forgotten teachings, a rekindler of an esoterism of which only ruins remained, or rather the habitual pillagers of the ruins. She was an inexhaustible adventurer to whom no barriers existed, neither when it came to traveling nor when contacting the Superior Beings or Masters who she loved and served loyally. She was a courageous soul capable of confronting ignorance, fear, rudeness, envy, betrayal and falsehoods. She made Truth her standard and maintained it as her sanctuary. She was a tireless seeker of spiritual treasures, a prolific and tenacious author, an articulate conversationalist, and true friend to all who surrounded her. She knew of riches and of misery, of glory and of sickness, of followers and of loneliness. She possessed the innate magic of the gifted and the penetrating vision of those who have been able to see beyond the veil of illusions. Above all, she made Wisdom and the practice of it-Philosophy-a veritable priesthood for the men and women anxious to discover the secret of Life. “There is nothing higher than Truth,” she once said, and also declared, “Honor Truth with deeds.” For all these reasons, we who today follow in her footsteps salute her as Master, eternally living and present. In 1831, in the Russian city of Ekaterinoslav, Helena Petrovna Hahn was born, the figure who a few years later known as Madame Blavatsky, would create a commotion in the materialistic scientific world and the narrow-mindedness of the Occident. Her ancestral origins go back to the times of Rurik of Novgorod and to the origins of Russia. Her family’s history is the history of Russia. Escaping societal conventions that restrained her restless spirit, she began traveling around the world. By the end of her life she had circled the globe seven times researching, teaching and collecting information. In these travels she contacted oriental masters and rescued ancient wisdom from centuries of slumber. In 1875, together with Col. Olcott and a group of intellectuals, she founded the International Theosophical Society. Its aims were to seek the truths hidden in the arts, sciences and religions of ancient times through eclectic philosophy, and unity among all men. Although Col. Olcott was in charge of the direction and organization of the Theosophical Society, H.P. 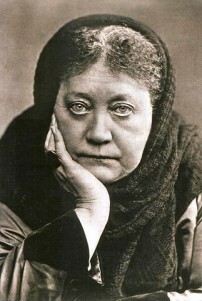 Blavatsky directed the Esoteric Section of the society-the never ending fount from which all the founders of subsequent schools drank: Anthroposophy, the Arcane school, the Rosicrucian Order or A.M.O.R.C., the Liberal Catholic Church, etc. Of her published works we could cite: The Voice of the Silence, Studies in Occultism, From the Caves and Jungles of Hindustan, The Key to Theosophy, Isis Unveiled, The Secret Doctrine, Theosophical Glossary, and hundreds of articles published in numerous magazines worldwide.